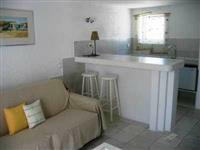 Holiday let Apartment to rent in Ornos, Mykonos, Greece. 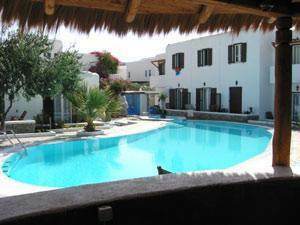 Light Airy Sun basking Rooms in Mykonos, with pool.. On the beach.. Light Airy Sunny Rooms in Mykonos, with pool. 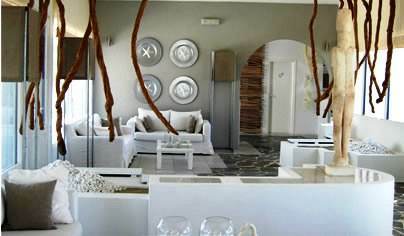 The pretty rooms are arranged around the pool on the beach. 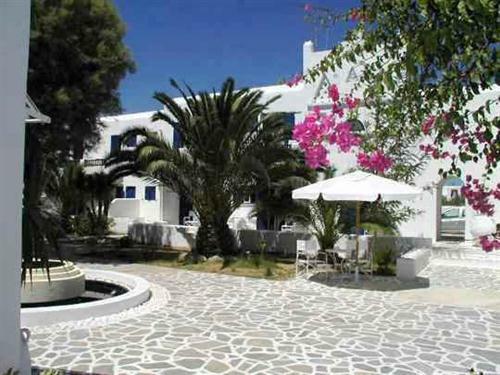 To make life easier there is a Front Desk, “Kouzina” Restaurant, right on the beach with very good prices for an elegant cuisine, swimming pool,Bar, Mini-market, Safe deposit box, laundry service and dry cleaning service, baby-sitting, wake-up service, free WiFi Internet, beach umbrellas & chairs, and outdoor parking. All Guest Rooms / Studios & Suites: Air-conditioning, Satellite TV, mini bar or kitchenette, telephone, bathroom with bath & shower, balcony or veranda.. 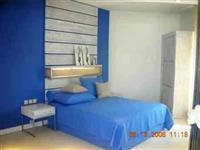 Most rooms lightly renovated in fresh colours. Classic Double Room – Sea View :have a queen size bed and a bathroom with a walk-in shower. 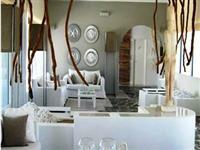 The view from each of the rooms’ balconies or terrace is facing the beach of Ornos, and the Aegean Sea. 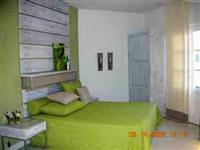 Classic Double Room – Garden View :Rooms have a queen size bed and a bathroom with a walk-in shower. The view from each of the rooms’ balconies or terrace is facing the garden and a private yard. Family Room : Connecting Door Classic Double Room: available on request. Light Airy Sunny Rooms in Mykonos, with pool. Notes: The rooms all sleep teo people but rooms with connecting doors can be made availible on request for families up to 4 people.